Detroit Become Human, the new game from Quantic Dream, has arrived on PlayStation 4 and, like most of the previous games, it’s a narrative focused experience that sees you play as three specific characters. One of those characters is Kara, and she’ll probably look pretty familiar to you; so much so that you’re wondering who the actress who plays her is. Well, here’s a little bit about her. 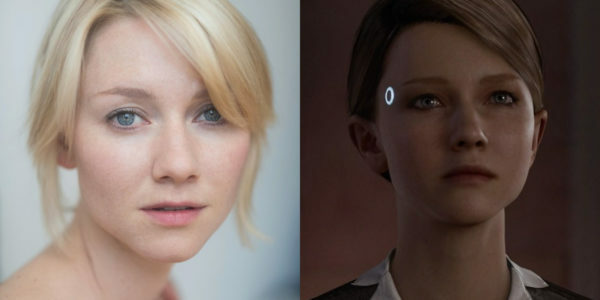 Kara’s actress’ name is Valorie Curry, you can see an photo of her below, and you may know her from her appearances on the small screen in shows such as Veronica Mars and CSI: NY, or maybe the movie Blair Witch. She also played Kelsey in the Kristen Bell and Don Cheadle led comedy House of Lies. Curry was the star of the tech demo that originally inspired Detroit back in the PlayStation 3 days, and she is now one of the main protagonists in the final product. For more on the actors in Detroit Become Human, you can check out our run down of the full voice cast. If you’re looking for tips and tricks on the game, be sure to check out our extensive wiki guide.